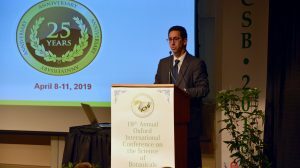 Steven Tave, director of the Office of Dietary Supplement Programs at the U.S. Food and Drug Administration, served as a special guest speaker at the conference’s opening session. John Finley, the national program leader for human nutrition at the U.S. Department of Agriculture, followed Tave with the keynote address. 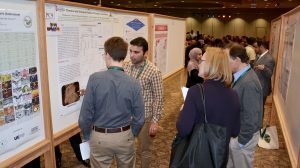 Numerous internationally recognized experts and researchers in the field of botanicals presented at the conference, including attendees from Australia, Central America and Africa, as well as representatives from U.S. Pharmacopeia, Procter & Gamble, DuPont and Waters Corp.
Attendees had a chance to socialize and explore the Ole Miss campus and Oxford community. Events included dinner each evening with different local and international cuisines, an afternoon picnic with competitive field games and tours of NCNPR facilities and the School of Pharmacy’s medicinal plant garden. The National Center for Natural Products Research was founded in 1995 to research, develop and commercialize potentially useful natural products. NCNPR collaborates with academia, government and the pharmaceutical and agrochemical industries to create natural products that can be used to improve human health and agriculture as crops, pharmaceuticals, dietary supplements and agrochemicals. For more information on programs at NCNPR, visit http://pharmacy.olemiss.edu/ncnpr/.